If you know me then you'll know that I loved STAGS by MA Bennett when I read it last year. So going in to The Island I had high hopes... And I was not disappointed. Another fantastic exploration of the darker side of humanity set against a background of privilege and desperation. 5 Words: Power, responsibility, school, resentment, revenge. Take one of each high-school stereotypes and dump them on a desert island, then sit back and watch the horror-show commence. 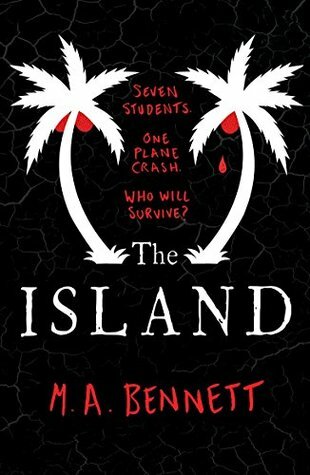 The Island explores the darker realities of humanity, looking at abuse of power, misogyny, desperation, and revenge. 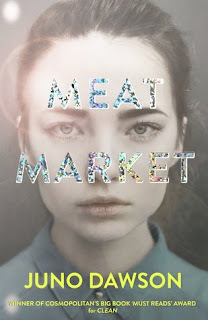 I imagine that this book will not be for everybody - the characters as a whole are intensely unlikable ,and it is very much a character driven story. But I loved the power struggles and how the situations unfolding turned everything on its head. The character development was incredible. My favourite character was (predictably?) Flora. She's not the main character, and Link often pushes her aside and disregards her, but I loved those glimpses that we saw. She's probably the "best" character morally, and I loved that she could stand her ground under intense pressure and in almost unimaginable situations. I think that the only bit of the book that I didn't like was the epilogue, as I'd have liked it to end on the last chapter and keep everything open - but that's just personal preference. Breakfast Club meets Lord of the Flies. 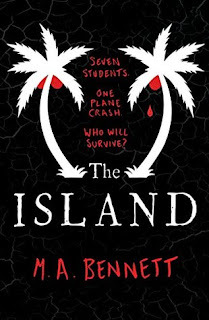 Join my on Sunday 19th August at 6pm where I'll be chatting on Twitter about The Island for #SundayYA Book Club! I'm looking forward to reading this, I enjoyed STAGS a lot. Sounds like a very interesting book. Must be quite intense to read if so all the characters dislike each other. I am off on holiday soon so might take the book with me! This sounds like a really interesting book - poor Link having to go through so much though!! All of them being left on an Island is giving me The Hunger Games Vibes but it’s probably not THAT extreme hahaha - I’m going to have to add this to my list & also most likely create a goodreads account because that’d make my life a whole lot easier!